You’re off to Italy! You are being adventurous this time; no hotels or B&Bs and you are either bringing your own car or hiring one while you are here. It’s your first time to self-cater in Italy too. But everyday life is a little bit different here than it is at home and there are a few things to bear in mind that perhaps seem like no-brainers, but they certainly weren’t obvious to me when I started travelling here initially. Now that I live here, these things are all part of everyday life, but I had to find them out for myself as I went along and I would have loved it if someone had sat me down to explain a few of the basics beforehand. Life would certainly been a lot simpler! 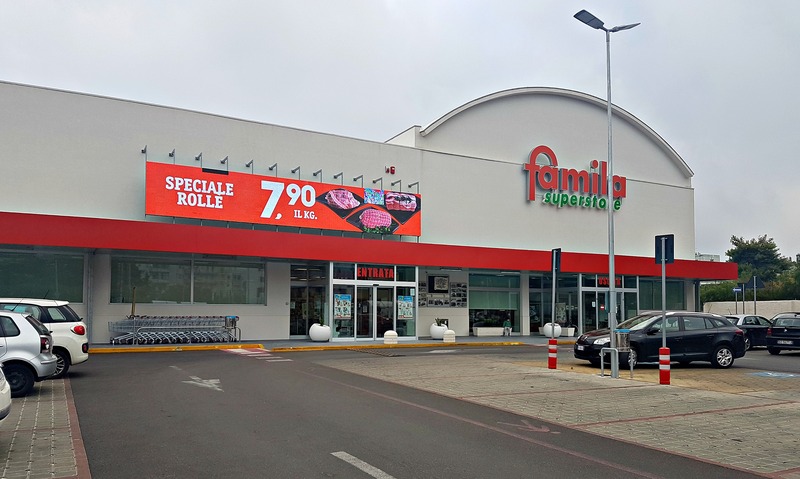 If you are looking for somewhere to stock up on provisions in an unfamiliar town in Italy, look out for signs to some of the main supermarket chains, which are Conad, Coop, Auchan, Despar, Famila and Simply. 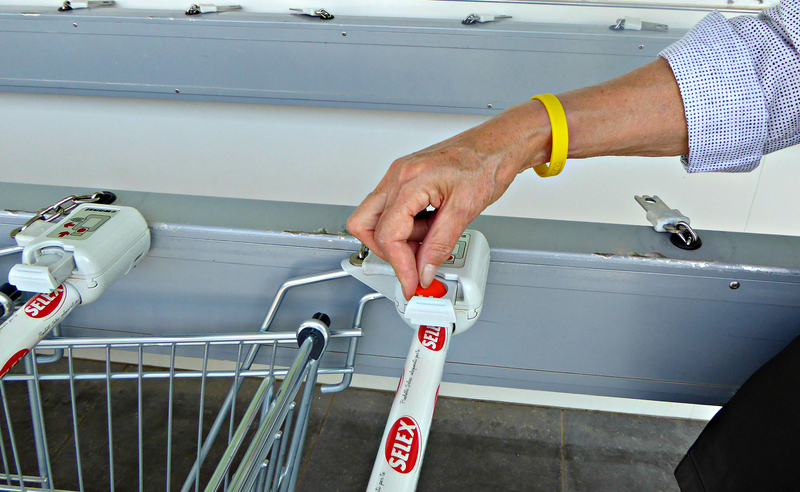 On arrival, you will need a Euro for your shopping trolley, so keep some handy. Your trolley is released upon insertion of the Euro into a slot. On returning your cart to the trolley-park, your Euro pops out of the slot once more. If you want to avoid pointed glares from the local shoppers, please use the plastic gloves provided in the fruit and vegetable (frutta e verdura) aisles. These are usually to be found on the same stand as the plastic bags. Fresh fruit and veg are usually piled high and are often given close inspection to check for ripeness and firmness. 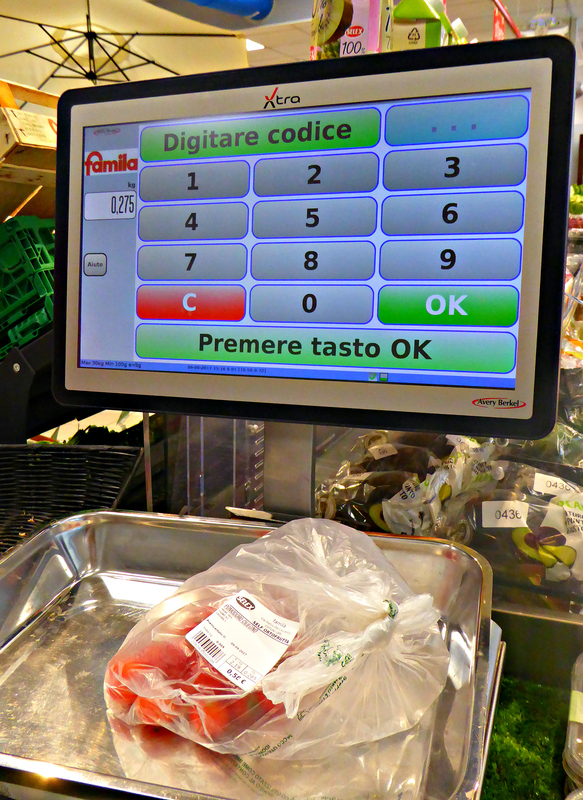 Wearing a plastic glove when making your selection is preferred here, as the super-hygienic Italians dislike to see anybody touching their fruit and veg with their bare hands. Who knows where they’ve been! When selecting your fruit and veg you will notice a little sign with a different number for each item – say 185 for yellow peppers and so on. This is the code for your fresh produce. Place your bagged item on the weighing scales and key this number onto the screen. A stick-on label with a bar-code for swiping at checkout will be issued and you affix this to the bag. ‘Premere tasto OK’ means press the key with OK written on it. At certain busy supermarket counters you will need to take a ticket to join the queue. This usually happens at the deli counter and for meat and fish. Remove it from the, usually, red dispenser, then keep an eye on the screen overhead or wait for the assistant to call out your number. Watch out for little old ladies who are expert queue jumpers! On checkout, you will need to have either brought your own shopping bag or you can purchase one there and then. Depending on the size and strength of the bag, they can cost anything from a few cents to a Euro. If you hear the assistant saying the word ‘borsa’, she is asking you if you need one. On arrival at a filling station to fill your car with diesel or petrol (benzina) you will see two lanes. Which one do you enter? One is labelled ‘PIU SERVITO’ and the other ‘IPERSELF’. If you choose to enter ‘PIU SERVITO’ an attendant will top up your tank and, while it is filling, will usually clean your windscreen. You pay a couple of cents more per litre of fuel for this service. ‘IPERSELF’ speaks for itself. It’s self-service. This usually means that you are faced with a machine where you insert your credit card or cash, press in the quantity of fuel you require and the number of the pump and petrol or diesel will be automatically dispensed. 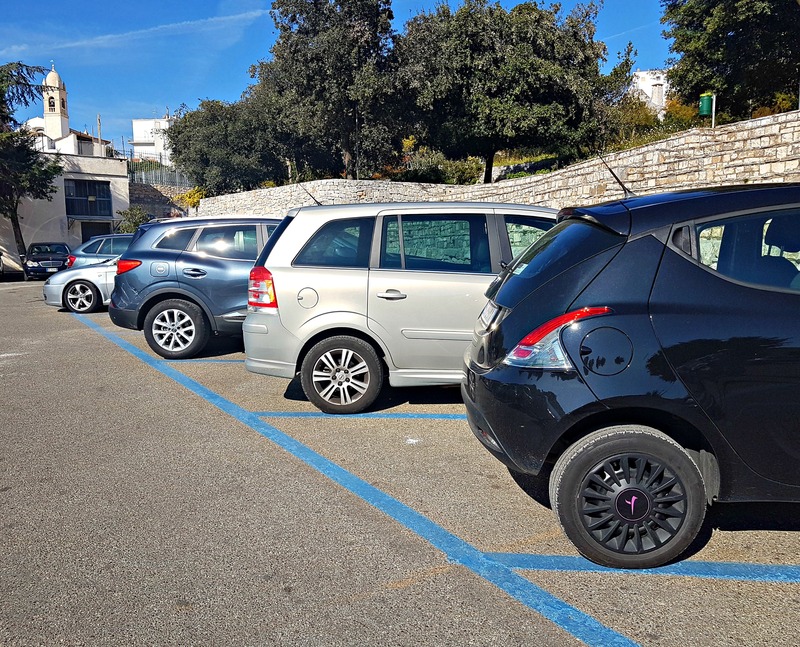 Remember, that if you are even slightly off the beaten track, most filling stations in Italy close for lunch, which is usually between 12.30 and 15.00. However, self-service is always available. 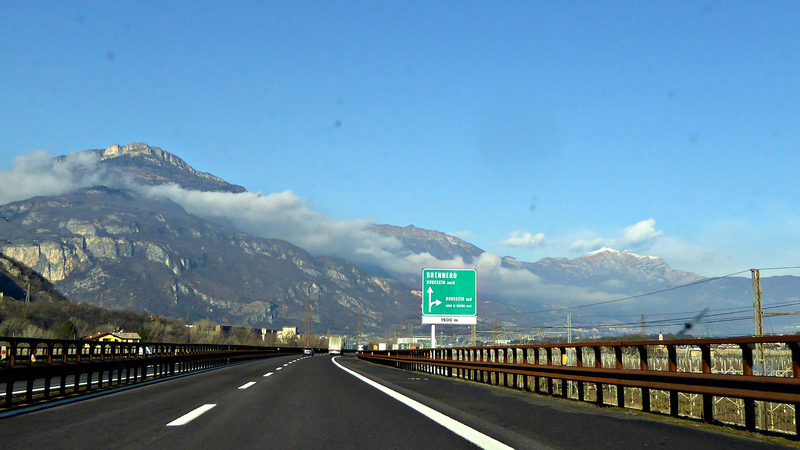 On the motorway (autostrada) and on most main routes they stay open, often for 24 hours. Many motorway filling stations have sandwich bars where you can purchase hot food and beverages. Have a look in the glass display cases and decide what you want to eat. Then go to the till, tell the assistant and pay. She will give you a receipt which you take to the servers behind the food section. They will heat a panino, or whatever it is you have ordered, and on handing it to you will tear your ticket slightly to indicate you have received your food. Keep this receipt. It is the law. 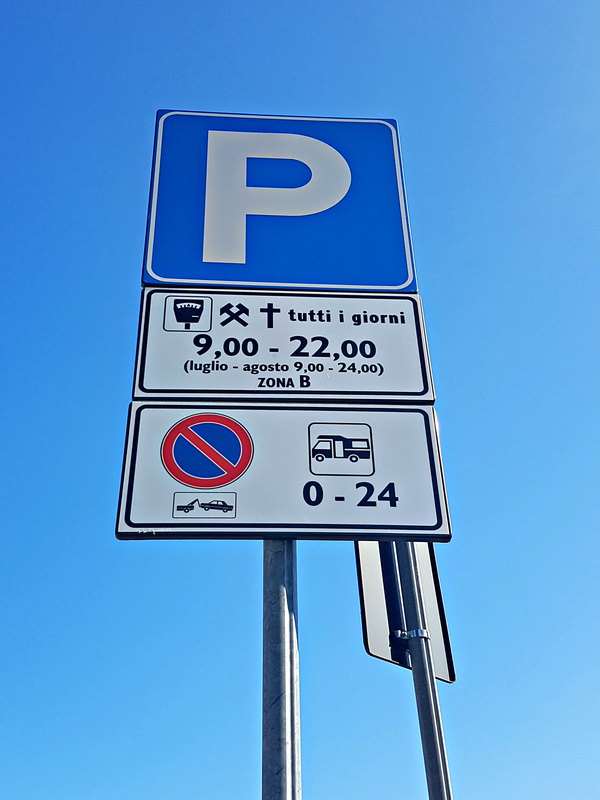 For on-street parking, when you see blue lines painted on the street it means there’s a parking meter around and you have to pay. 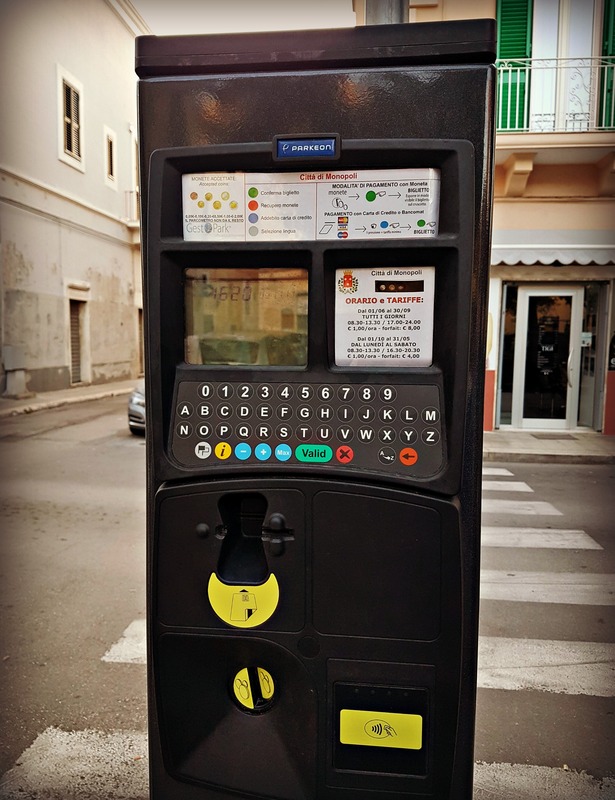 Many of these parking meters ask you to key in your car licence plate number before you put in your money, so you will need to memorise it if you don’t want to have to traipse back to your car to check. In most rural towns the charge is usually about 50 cents to park for an hour and over lunchtime it’s usually free. Look at the sign over the parking meter and it will confirm the hours when you need to pay. 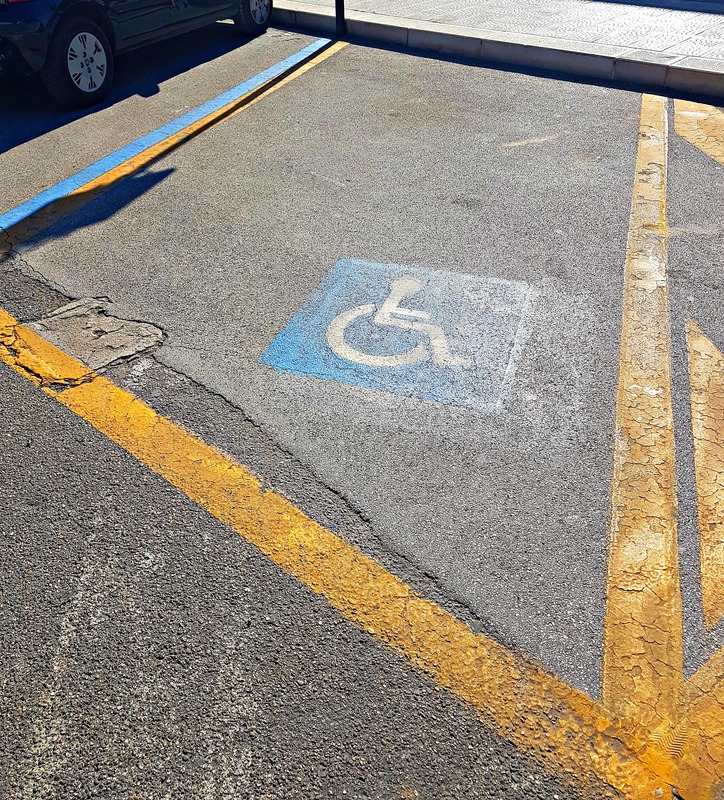 Yellow lines around a parking space means that it is either for emergency vehicles or for disabled drivers. Parking is forbidden otherwise. This can vary widely, so keep an eye on the road signs. But to note, first of all, that to convert kilometres to miles per hour, you multiply by 0.6. That means that when you see a sign with ‘100’, this is 60mph and so on. 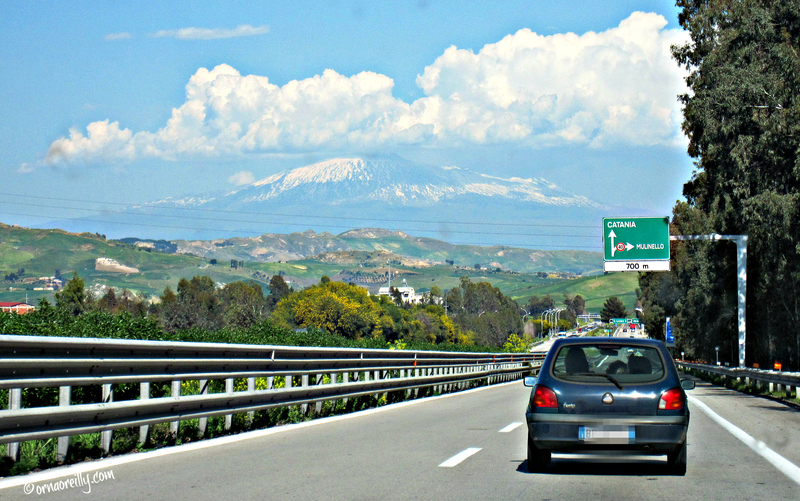 Motorways are usually 130kph (81mph) and main highways (Strada Statale; SS) are 110kph (68mph). Going through built-up areas you will see it is just 50kph (30mph). 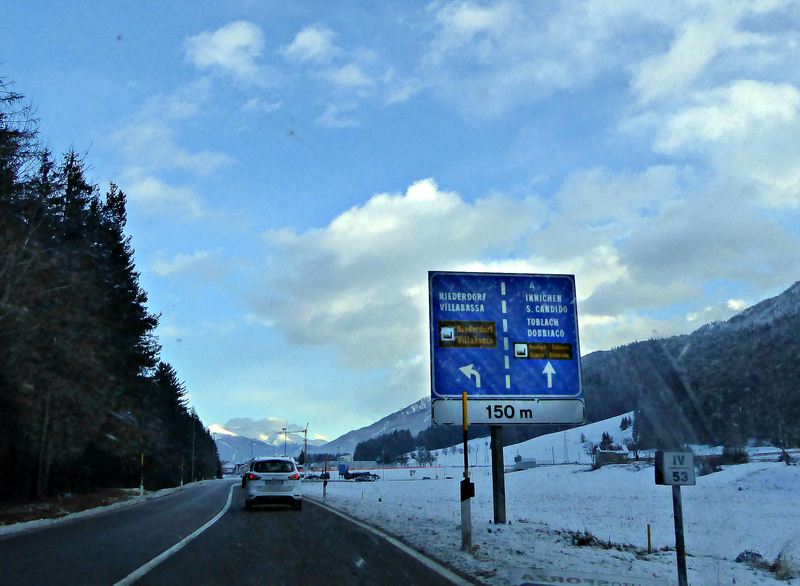 You will know by the green signs that you are approaching an autostrada (motorway), where you must pay a toll. Main roads have blue signs and are toll free. The system of payment on the autostrada is that you pick up a ticket when you enter and pay as you leave. When I drove in Italy initially, I had a right hand drive car which made entering and exiting an autostrada pretty awkward. Travelling alone, I had to jump hurriedly from my car and run around the back in order to pull my ticket and to pay. Learn a few handy Italian phrases and words. Outside of the main tourist areas, English is not commonly spoken. This is Italy and Italian is spoken here! 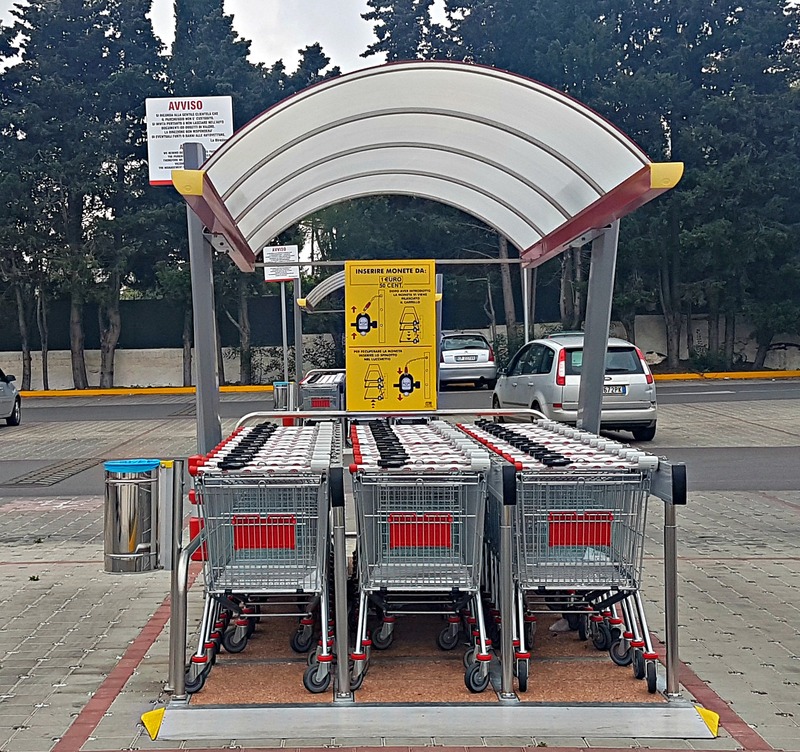 And always have a few €1 and 50 cent coins handy for on-street parking and shopping trolleys. 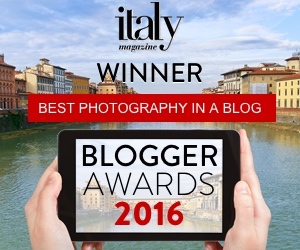 Relax and enjoy your trip to Italy. Venture everywhere! Thanks Lyn. It took me ages to figure all this stuff out at the beginning! To help me remember my car’s plate number, I take a picture of it using my phone camera. Excellent details to know! The supermarket info will be very useful for my May trip. Thanks for sharing! Really helpful stuff for newbies. I’m still trying to figure out how to buy gas in Italy! Also, pink lines around parking spots are reserved for pregnant women. And in some cases beware of iperself, as if you have a problem with your credit card, there is no one there who will help you. I find it always better to have a real person help you. great work . very helpfull . 17 trips and we have yet to figure out the damn gas pumps! We opt for piu servito. 🙂 One of these days maybe we can get some instruction. It’s the prepay ones which don’t ever seem to work for us. 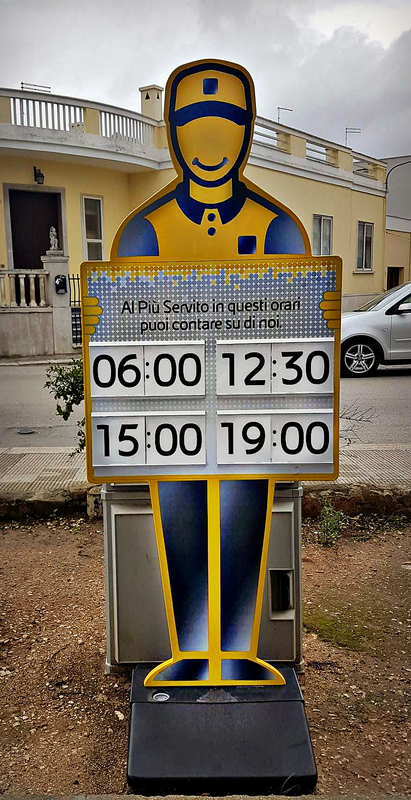 I still go for the Piu Servito too…..much less stressful! It’s just a matter of timing it before they close for pausa pranza! Thank you so much! You have helped make life a little easier for a lot of people! Unfortunately we found out all of these things the hard way ha! ha! Great way of explaining things and simplifying them! 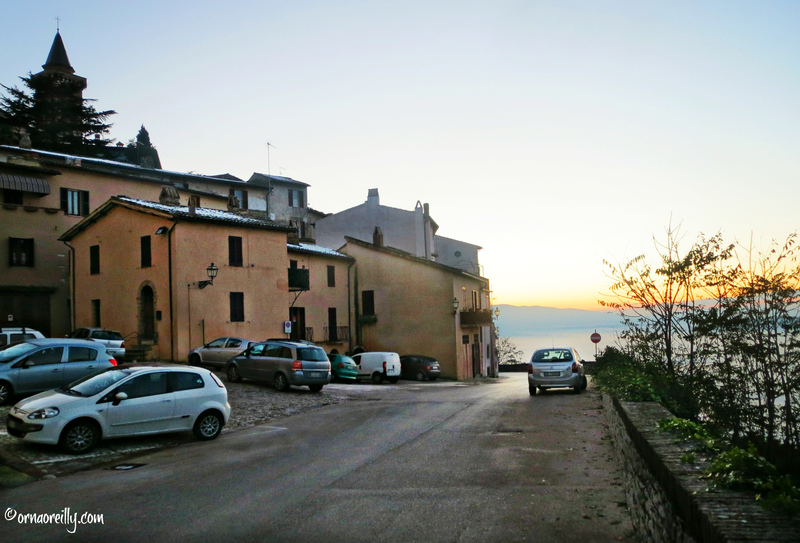 Very nice written and really instructive images, even to a swede who’s learning italian. Happy to help! Enjoy your trip. Oh I don’t know….every country is different and, unless you speak Italian fluently, it can be complicated trying to figure things out.